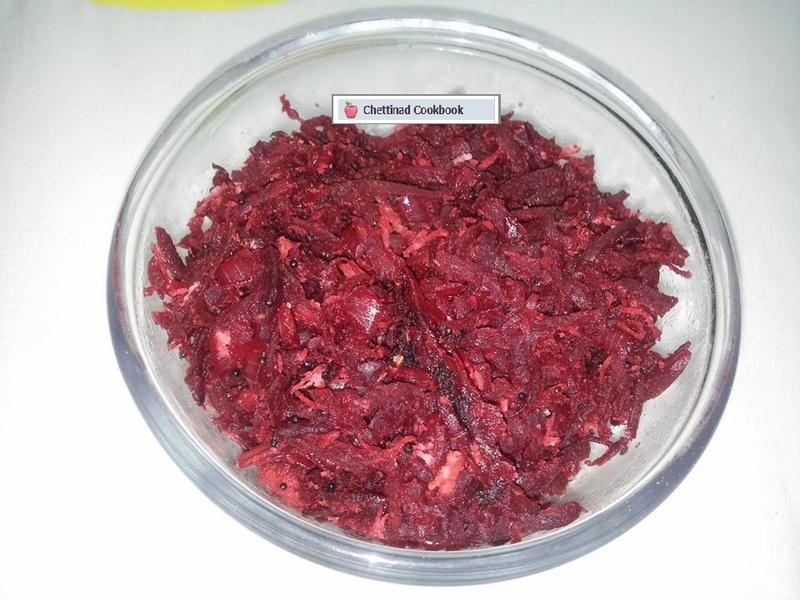 Beetroot poriyal: We can make Chuttney,Soup,masala many more recipes, But this recipe is easy with less ingredients people from all age prefer this recipe as good mild taste and able to consume more. 1. Lower Your Blood Pressure, 2 Boost Your Stamina, 3 Fight Inflammation,4. Anti-Cancer Properties 5.Rich in Valuable Nutrients and 6.Fiber,Detoxification Support. Heat pan with 1 tsp of oil season with mustard seeds and urad dal. Add chopped onion saute until translucent. Add scraped Beet root saute well in slow flame when it is half cooked add Salt and Sambar masala powder. Cook until soft by sprinkling little water if necessary add grated Coconut mix well and switch off the stove. This you can mix with rice and eat or match with any type of fried and curd rice.